Ready to enjoy and luminous with natural light, this brilliant lifestyle address abounds with creature comforts. With its fresh neutral palette, easy-care finish and flowing one-level floor plan, the property exudes warmth and welcome from the moment you cross the threshold. 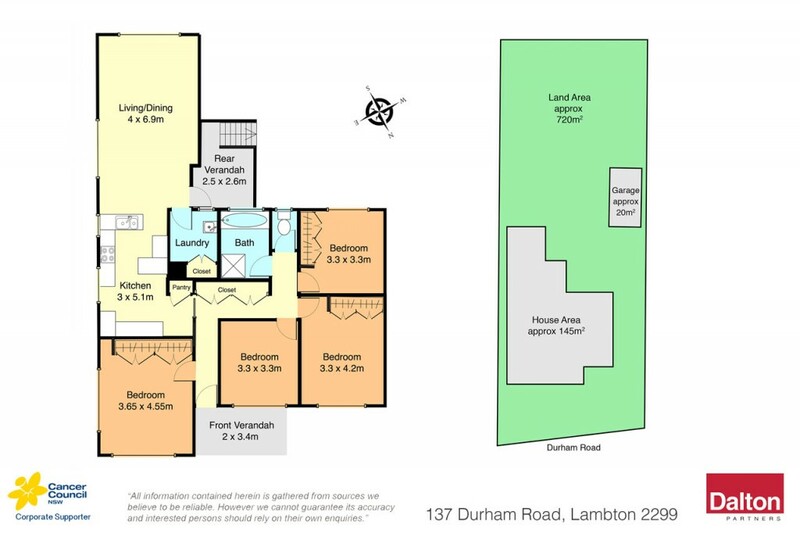 Generous proportions, a spacious living area and impressive land dimensions provide a beautifully conceived haven for modern family life in a highly sought-after location central to Lambton Pool, excellent schools, village shops and lively eateries. * Huge living/dining zone extends from a gas-equipped kitchen with eat-in bar. * Four bright bedrooms with cooling ceiling fans, three appointed with robes. * Central bathroom with modern finishes and separate w.c.
* Large child-friendly backyard crowned by an established mango tree. * Split-system air conditioning; glossy floorboards; laundry with in-built storage. * Lengthy driveway leading to secure single garage. * Potential ready-made investment with solid rental return. Council Rates: $2019.00 PA approx. Water Rates: $795.00 +Usage approx.